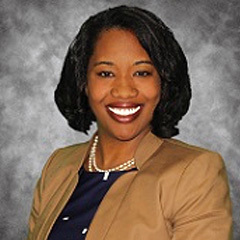 Dr. Warren is a board-certified psychiatrist who joined Georgia Behavioral Health Professionals in September 2018. Dr. Warren utilizes a nurturing and holistic approach in providing treatment for her patients. She also incorporates spirituality and cultural sensitivity when working with various age groups. She earned a Bachelor of Science in Industrial Engineering from the Georgia Institute of Technology. She furthered her education and earned a Doctorate of Medicine from Morehouse School of Medicine. Dr. Warren completed General Psychiatry Residency at the University of Cincinnati and C&A Psychiatry Fellowship/CCHMC at the University of Cincinnati.